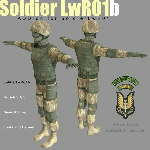 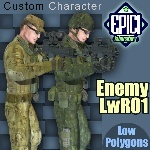 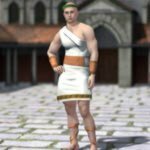 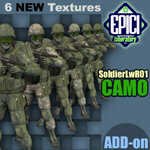 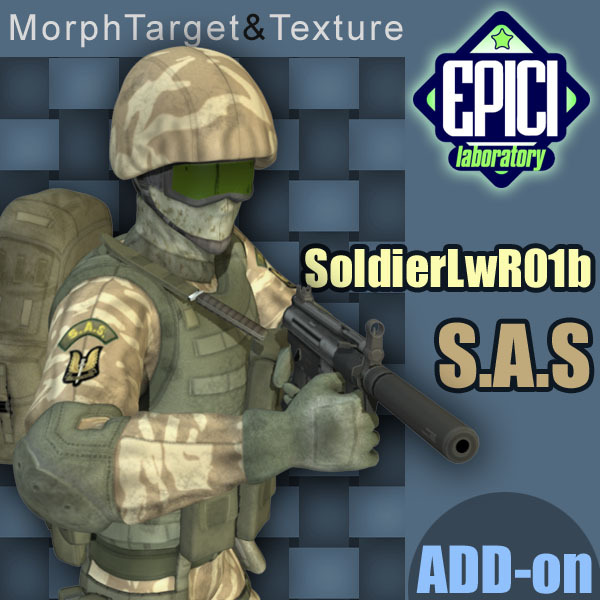 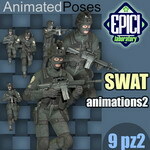 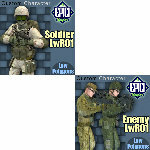 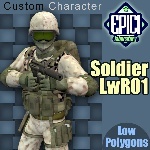 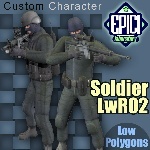 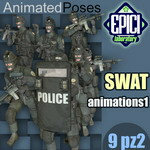 SoldierLwR_01b SAS is an addon for SoldierLwR01. 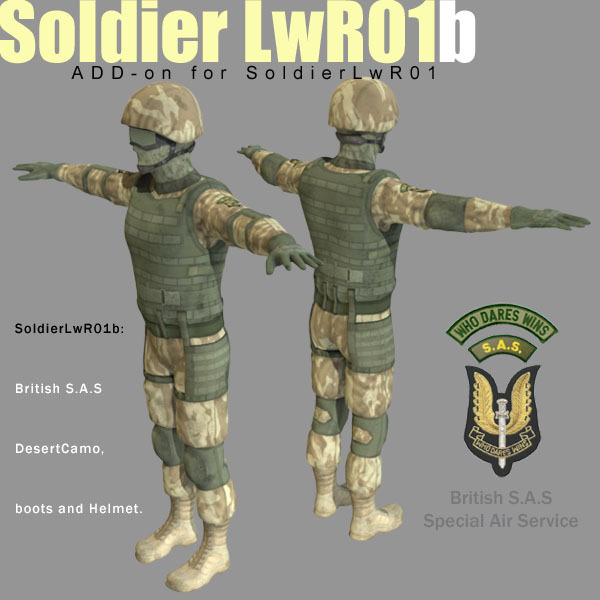 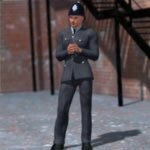 This is the British S.A.S (Special Air Service) version of SoldierLwR_01. The head has a "helmetSAS" MorphTarget. 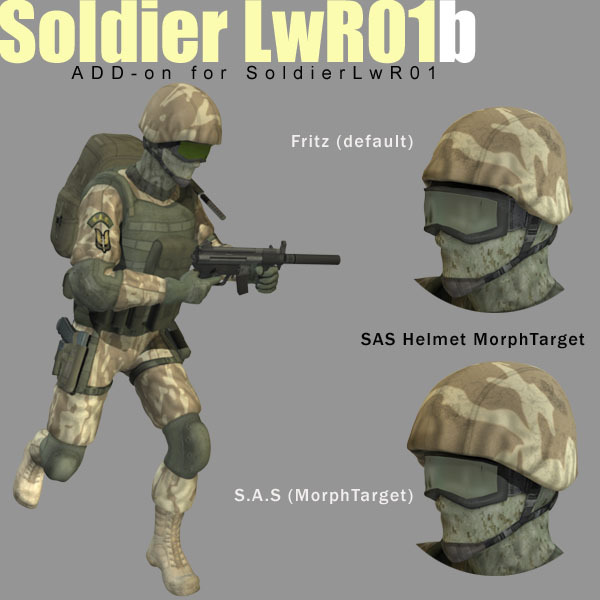 Switch to "0" if you want to go back to the default Fritz helmet.